While marketers across the world have been focused on maintaining or achieving compliance with the EU’s upcoming GDPR, those here in the United States (or who send email to U.S. residents) have hopefully not lost sight of recently proposed changes to the anti-spam law in California. In February, a bill was introduced with amendments to California’s Business and Professions Code which would make the law far more specific, more exacting, and applicable to any person or entity initiating or advertising in a commercial email advertisement either sent from California or to a California email address. If you aren’t familiar with the details of these amendments, or how it may impact your business, we’ll be tracking and analyzing the bill as it moves through the legislative process. In this post, we’d like to highlight and summarize some of the most noteworthy aspects of this proposed legislation. In one section of the bill (17529.1. (c)), the proposed language would vastly expand the types of email that are covered by the law. Previously, only some specific types of email were covered, but the proposed amendment now addresses nearly any type of solicitation. A later section (17529.5. (b)(2)) also expands the content that is subject to regulation. Previously, only the information contained within the header was specified. Now, header information along with the subject line and the body/content can be considered unlawful. Under Section (17529.5. (b)), it is stated that liability would not just fall on the advertiser, but any person or entity that sends on the advertiser’s behalf. This means third party partners can be held responsible for any violations of the code. Sections 17529.5. (d)(1)(A) and 17529.5. (d)(1)(C) have added language that expand the definitions of who potential complainants may be and state unambiguously that the recipient of the email(s) in question would not have to have opted out as a condition of bringing suit. It is also explicitly stated that the defendant could not argue that failure to opt out indicated the recipient’s desire or agreement to continue receiving said email(s). Per Section 17529.5. 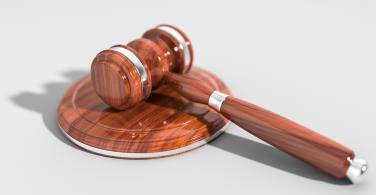 (d)(2), the court could “reduce the liquidated damages recoverable” contingent upon the defendant showing that specific measures had been implemented to prevent any unlawful actions. These include practices “reasonably designed to effectively prevent” violations from occurring, consistently maintaining said practices, training personnel regarding said practices, and maintaining records demonstrating compliance with said practices. In a subsequent post, we intend to delve further into each aspect of this legislation (as it evolves and progresses) and the impact that it may or should have on your email marketing practices. Disclaimer: The information in this blog post (“Post”) is provided for general informational purposes only, and may not reflect the current law in your jurisdiction. No information contained in this post should be construed as legal advice from LashBack, LLC or the individual author, nor is it intended to be a substitute for legal counsel on any subject matter. No reader of this post should act or refrain from acting on the basis of any information included in, or accessible through, this Post without seeking the appropriate legal or other professional advice on the particular facts and circumstances at issue from a lawyer licensed in the recipient’s state, country or other appropriate licensing jurisdiction. To read the aforementioned bill in its entirety, click here.